Suzzen did have a reason to react like that during the fire after all. Mmm I don’t imagine what Professor Lovell will say!!!!!! Will she tell Suzzen something about her father??? I can’t wait!!!!!!!!!! 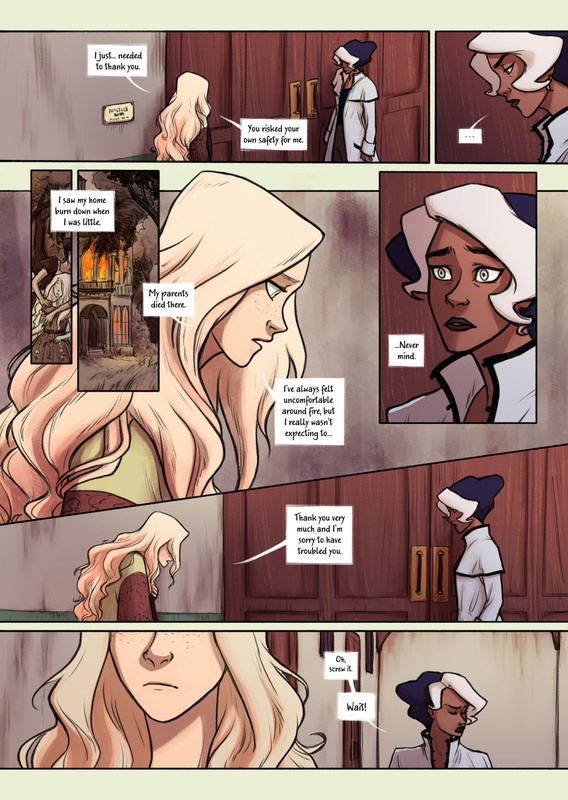 Suzzen’s hair looks gorgeous in that second panel. This is very hard for her, I can tell. Thanks a lot! ^o^ It is indeed very hard for Professor Lovell. You will soon understand why.